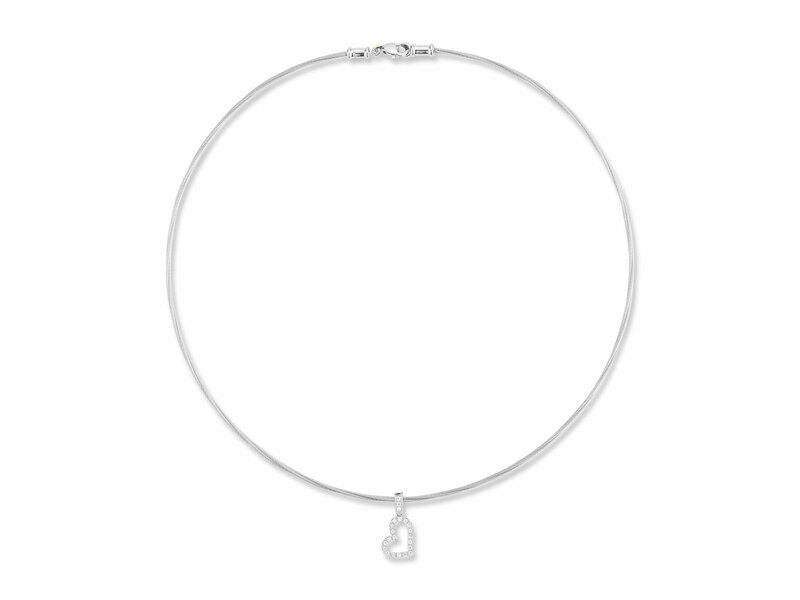 Make a simple, yet amazing statement with the ALOR Heart Necklace with grey cable in white gold. 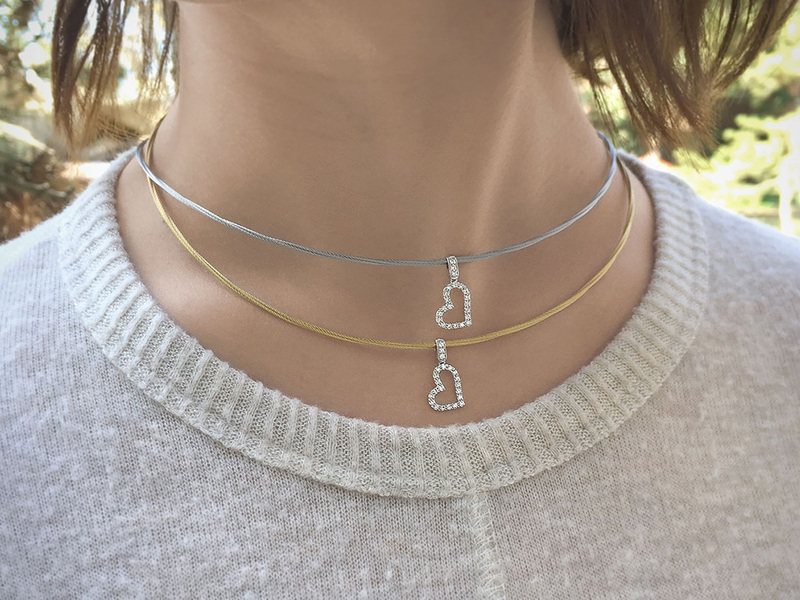 The length of the 17 inch chain will fit most needs and outfits. 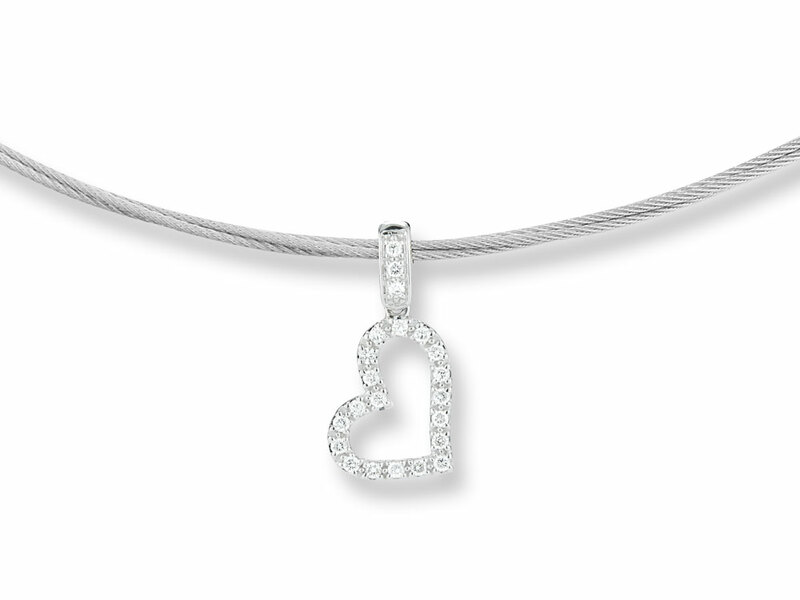 The bright heart with diamonds is a beautiful symbol of your love. 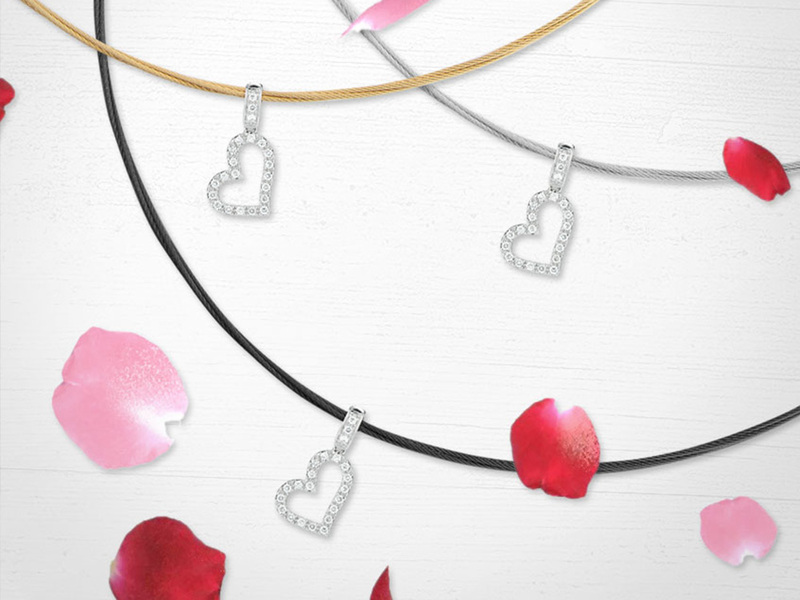 Perfect as a gift for Valentines, an anniversary, wedding, engagement, or even birthday this necklace will dress up an outfit or function for every day wear. Show your loved one how much you care and allow them to carry your heart each day. 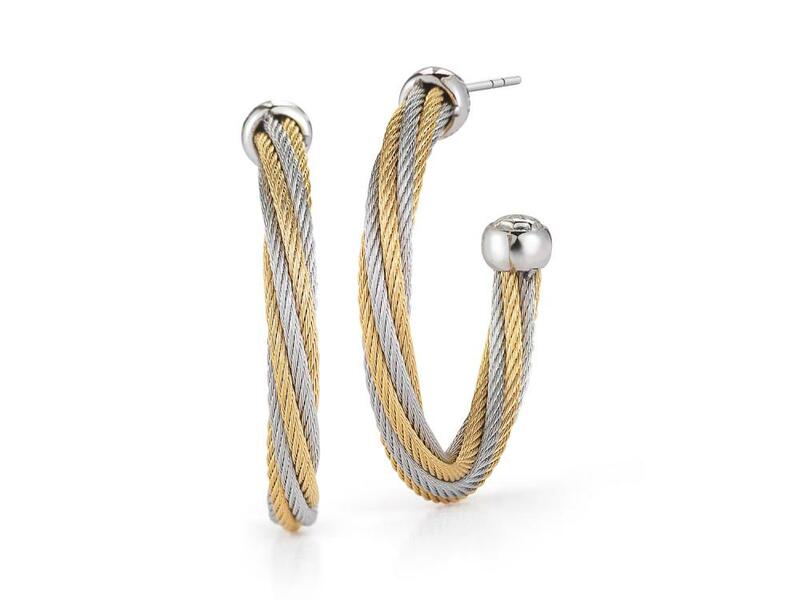 Grey cable, 18kt. White Gold, 0.14total carat weight. Diamonds and stainless steel, 17″ length. Imported.